Thankfully, the brewers at Blackman's have clearly applied the unlikely additions with subtlety. 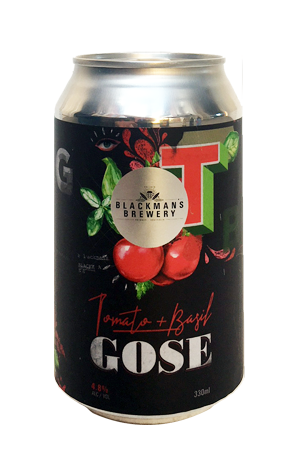 What's more, given this isn't their first rodeo when it comes to brewing a gose, they've been applied to a base beer that knows where it's at too. Thus, what you have here is a beer with a ridiculously fine head and carbonation, with a faint herbal, floral side to it, that's essentially a nicely judged gose with great texture that holds its sweetness, saltiness and refreshing acidity in delicate balance.